January 28 — the beginning of the New Year in eastern Asian countries. This is a momentous and colorful event that will celebrate almost 3 billion people around the world. It is on January 28 that Red, or, as they like to say in China itself, the Fire Rooster will enter its power. This sign of the eastern calendar will be the patron of the next 12 months for all mankind. The fire element is an indication that the world will plunge into passion, emotions and feelings. The rooster will increase the zeal of people for self-realization. This period is successful for marriage, as well as global changes in all spheres of life. The Chinese themselves and other peoples who celebrate the New Year on January 28 consider this holiday the most important in the calendar. The thing is that a large number of beliefs, traditions and rituals are connected with this holiday. On New Year’s Eve in Eastern Asia, the whole family is always going. It is impossible to pass this holiday to anyone, because it will be not just a bad form, but an almost unforgivable mistake. Many employers are sympathetic to the traditions of the East and are allowed to take time off for the New Year period. The whole family reunites to spend 15 days of celebration together. The holiday of lanterns is celebrated on the last day of the holidays. According to the tradition, firecrackers are blown up on this day, fireworks are started and lights are turned on. The house is decorated in red, which scares off evil spirits. As you know, the date of the beginning of the celebration of the New Year in the eastern calendar is variable. As early as 4000 years ago, the rule was taken to celebrate the second New Moon after the winter Solstice on December 21. 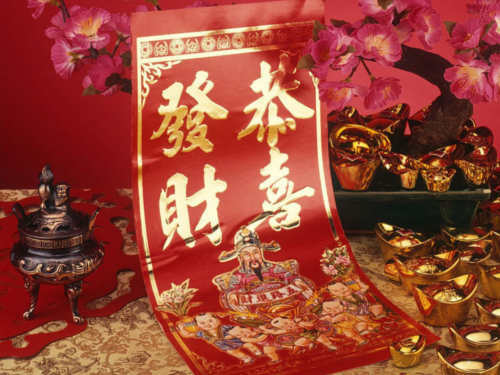 Such a close relationship with the lunar calendar gave the holiday an alternative name — Lunar New Year. As for supporters of Chinese traditions in Russia, they are more and more every year. No one bothers you to celebrate the meeting of the traditional New Year on January 1, and then also to meet the accession to the throne of the Fire Rooster on January 28. According to the rules of feng shui, the red color, which is the most important for the eastern calendar, has tremendous power. Eastern peoples use this shade to attract wealth, and in the New Year — to scare away the evil spirit that steals luck, health and good mood of people. In Russia, the house is increasingly decorated in red. this is doubly relevant in view of the fact that the Fire Rooster takes effect. On January 28, many families will launch fireworks, honoring this year’s symbol. You can have a great time and relax, because January 28 falls on Saturday. Do not let the day off go in vain. The most important thing is your mood and desire to make the world a little more beautiful. This will be another reason to pamper children with gifts and feel the holiday atmosphere, which is so lacking on ordinary days. Do not forget that a good mood increases energy and attracts good luck in your life.